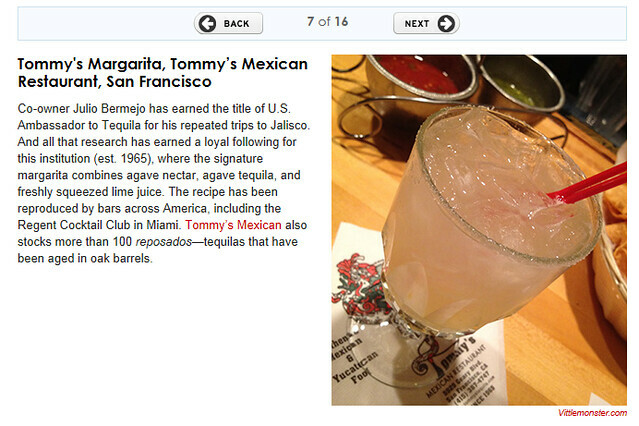 Although TheDailyMeal.com didn’t use a pic from Vittle Monster, they did link to a Potluck item sent from Corey T! 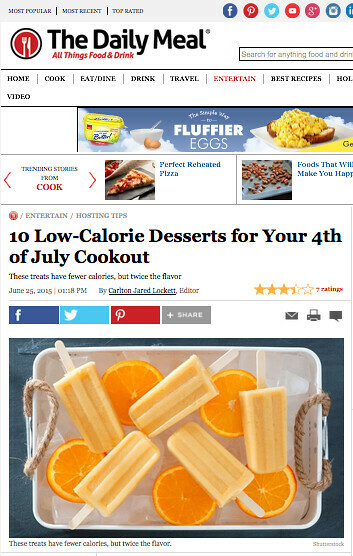 His Prosecco and Ice Pops from the Loopy Doopy Rooftop Bar in New York certainly look like they would make a delicious 4th of July dessert. Food & Wine: Best Burgers in the U.S. includes Vittle Monster! OMG! 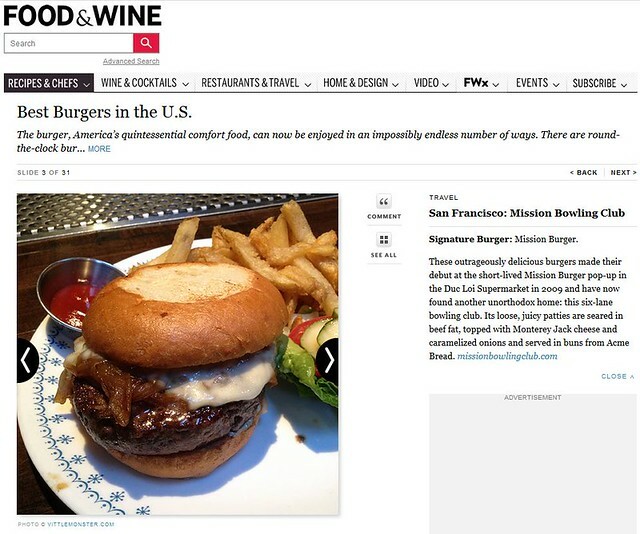 Food & Wine picked up Vittle Monster’s photo of the Mission Burger from the Mission Bowling Club and included it in their online slideshow for the Best Burgers in the U.S. Heck yeah! BuzzFeed picks up my Cherpumple post! 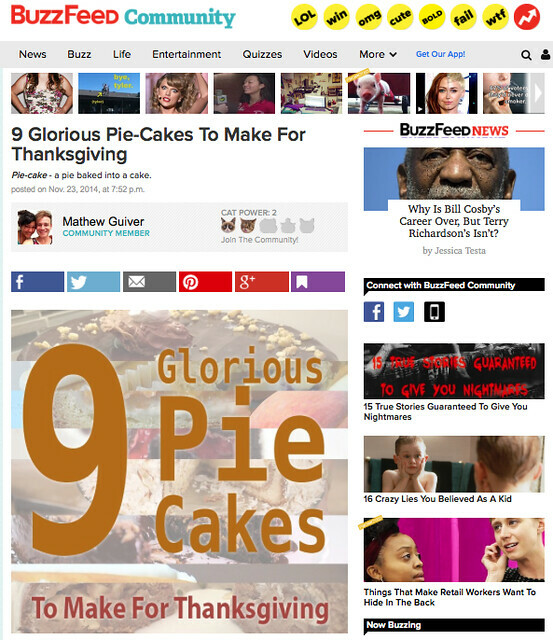 My cherpumple post always gets more hits right around Thanksgiving, but this year BuzzFeed has picked it up for their 9 Glorious Pie-Cakes to Make for Thanksgiving article. Yay, I’m so excited! 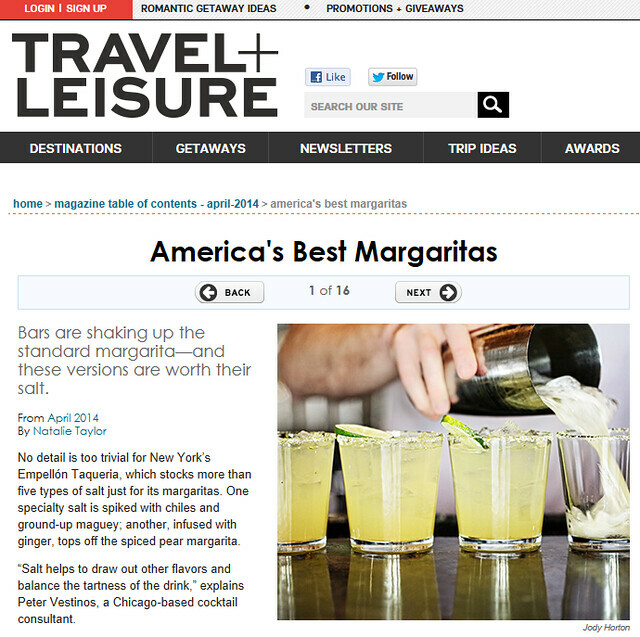 Travel + Leisure includes Vittle Monster margarita! Bay Area Reporter thinks Vittle Monster found the right Bite! 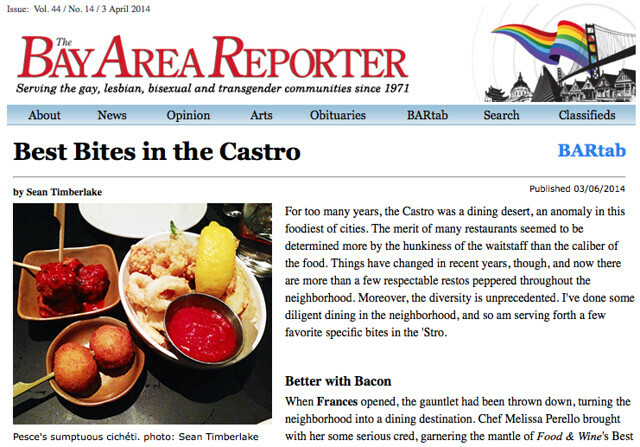 In the Bay Area Reporter’s “Best Bites in the Castro” article, you’ll find a Vittle Monster pic of a delicious thali plate from Kasa Indian Eatery. I love the food at Kasa and am happy that the B.A.R. chose to use a pic of mine! 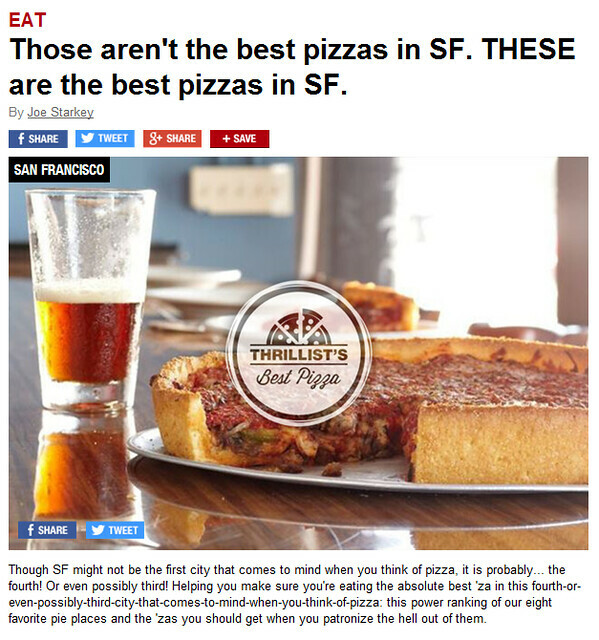 Thrillist SF has put out a list of the Best Pizzas in San Francisco and a Vittle Monster pic has made the cut! 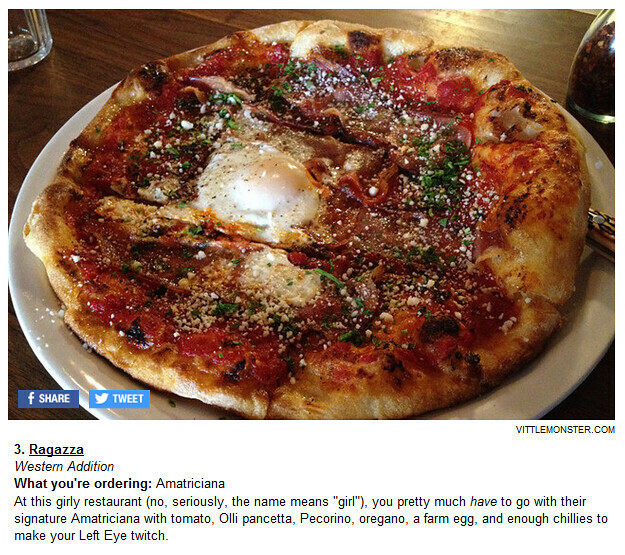 The Amatriciana pizza at Ragazza is truly fabulous and definitely deserves its place among the best. Zoe Bain from Delish.com has compiled a list of amazing donuts in her article The Weirdest and Greatest Doughnut Flavors. 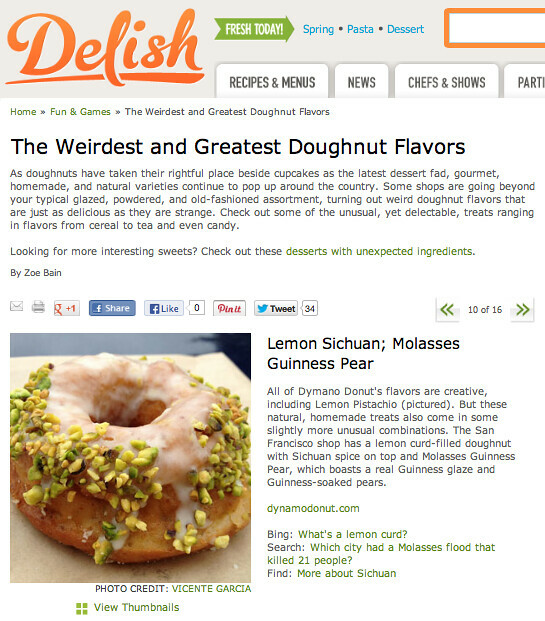 She was kind enough to include my pic of the lemon pistachio donut from Dynamo Donuts. Check it out!